Share or like this article to get the game creators' attention. And yes I know that I only talked about the prequel trilogy, but be sure to leave any more ideas of gamemodes you want to see, whether it be the Prequels, Original, or Sequel Trilogy. 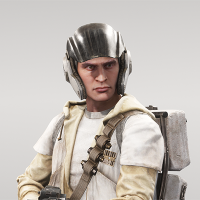 In the original Star Wars Battlefront made in 2015, we were introduced to two rebels stranded on certain planets that have to survive for a while. WHAT? In this new game, why don't they add Theme Based Survival Missions, where you play as certain characters that follow canon lore. For example, they could have you and your friend(s) play as jedi's that have to survive the Jedi Purge. Or they could have the player(s) be certain jedi's, like Mace Windu, Kit Fisto, etc, to survive in the Geonosis Arena until the Clone Army of the Republic arrives. Another idea is Hero Duels, where you and a friend fight a jedi or sith ai as a jedi or sith(For example fighting Count Dooku with Anakin and Obi-Wan in that weird geonosis area they fought in Episode 2). You could even have a gamemode about the Battle Of Naboo, where you and a few players are clones that have to survive against waves of droids. 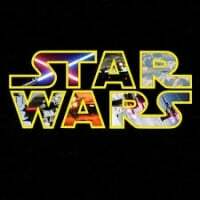 https://google.com/search?q=battle+of+naboo&source=lnms&tbm=isch&sa=X&ved=0ahUKEwi32sLc_PjUAhUE92MKHUTLAkQQ_AUIDCgD&biw=1920&bih=1070#imgrc=-z_vuqFVwsx2HM: There are so many fun small gamemodes the game creators could add to co-op that would make so many players happy. I'm hoping that this idea can be shown to EA DICE or any game changers so that this can be implemented into the game. Contact me for any more ideas, information, or anything you want me to clear up. Sounds cool! I'd love to see the Battle of Geonosis through a trooper's perspective. Maybe you have to clear a Geonosian hive with your AI platoon and one buddy, or defeat a column of battle droids and shoot down an escaping CIS droid control ship, or infiltrate a Separatist foundry and rescue your fellow clones who have been captured and heavily wounded. Don't think they will go as far as putting Jedi and duels for missions since they had a campaign but things like clones fighting off droids might happen.